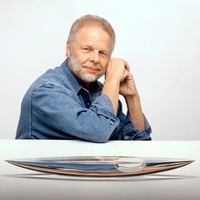 More about iittala Festivo 5 Ring Candle Holder Timo Sarpaneva originally designed Festivo as a wine glass for himself, with the goal of fitting an entire bottle into a single glass. 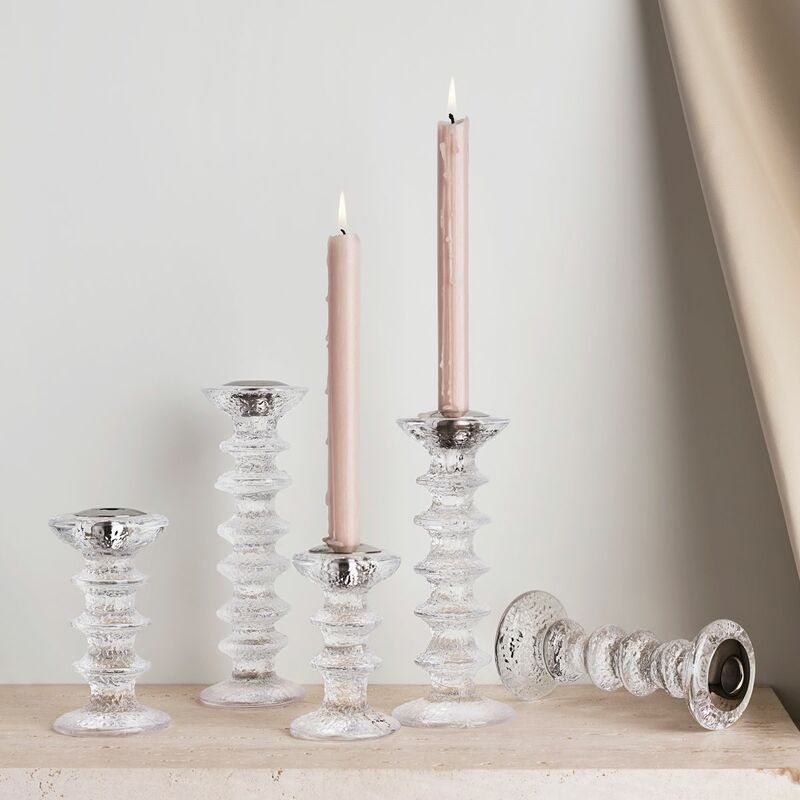 The bowl and base were blown separately, and upon seeing the stems sitting on their own in the factory one day, Sarpaneva was inspired to turn them into candle holders. 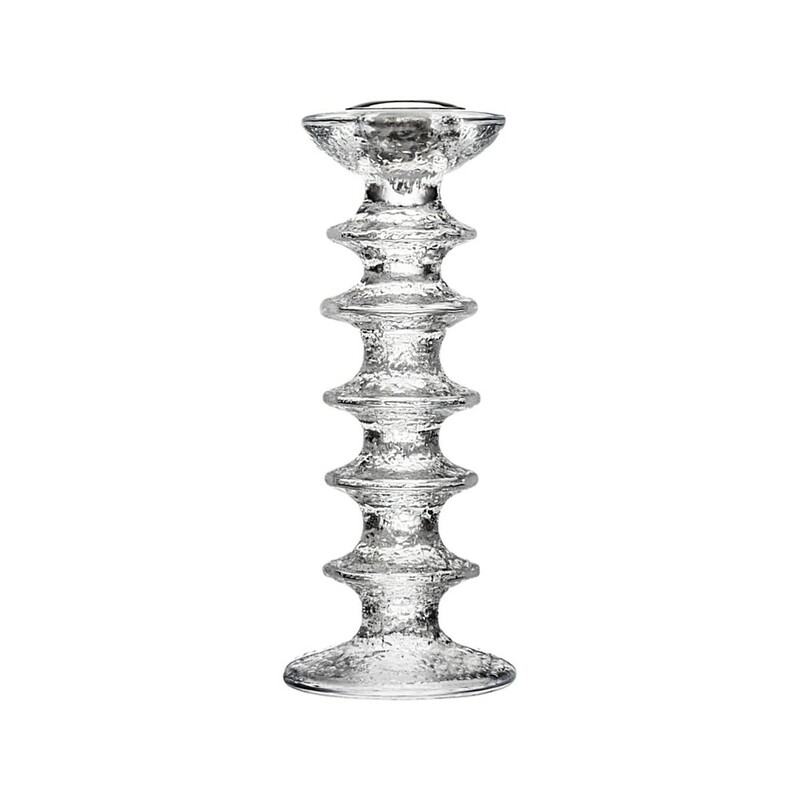 The now iconic design has the look and feel of icy crystal, paying ode to Nordic winter beauty. This iittala Festivo Candle Holder has five defining rings, standing at 8-1/2" (215 mm) tall. 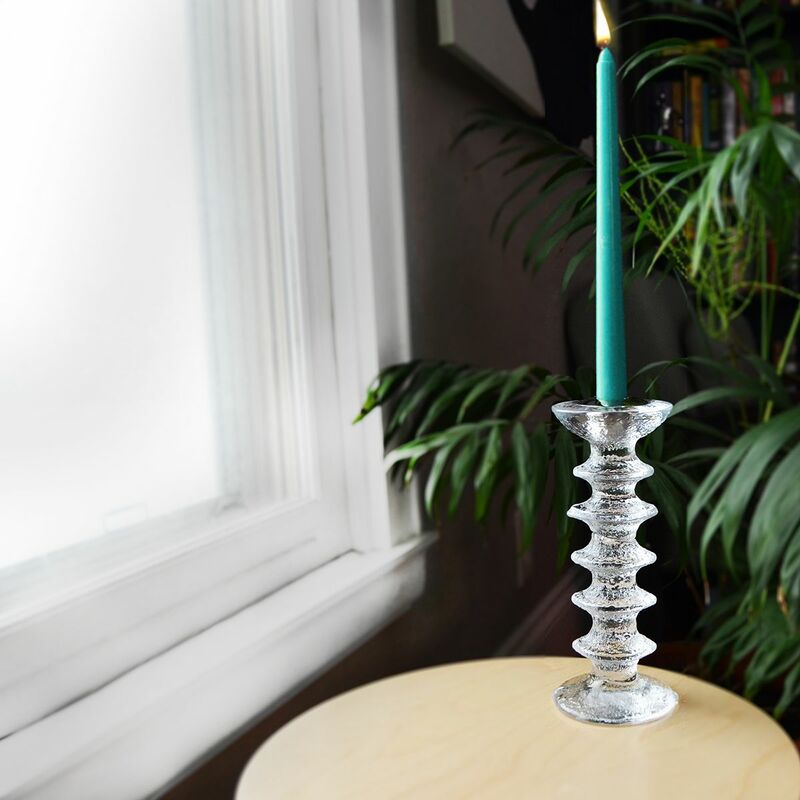 A stainless steel insert is included, allowing it to hold one taper candle. I purchased 5 of these candle holders of different sizes. The addition of the metal ring to hold the candle is reassuring and adds to the attractiveness of the product. 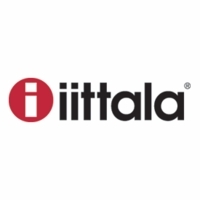 The Iitala candle holder was a free gift with my recent order. Thank you!! 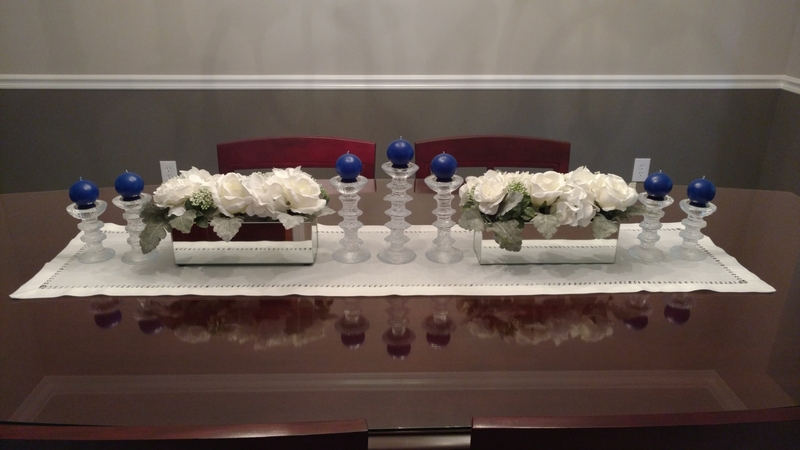 ProsElegant design, more formal, but will combine with other elements for table centerpiece. Heavy glass. Beautiful candle holder. Classic design and great craftsmanship. Will be an heirloom. 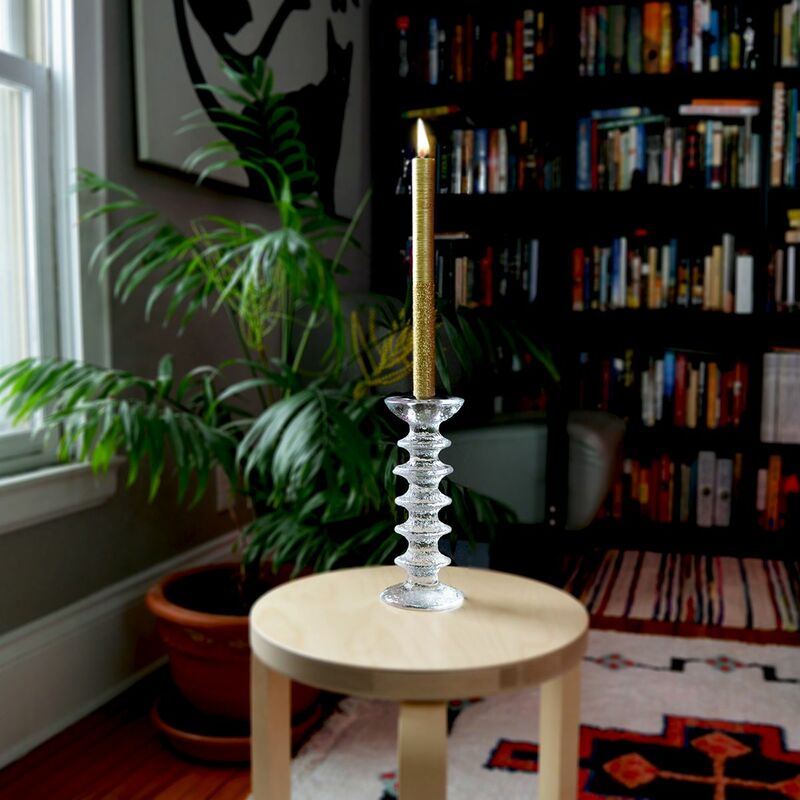 Note that the new festivo candle holders have a metal cup the you place the candle in. I hadnâ€™t realized and it was a bit of a shock since Iâ€™ve never seen it. Still beautiful. 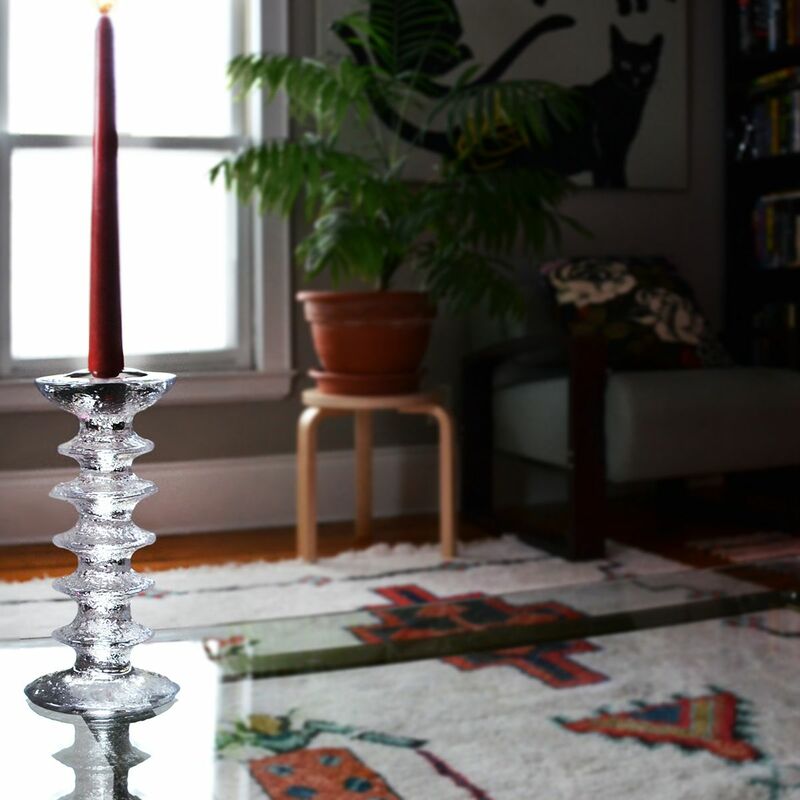 Itâ€™s a lovely five ring candle holder but this model has a silver candle holder insert (a pro and a con, depending) My older ones donâ€™t have this. Still, I loved it. I received this as a purchase gift for spending so much on an order and itâ€™s so beautiful! I have wanted one for a long time and itâ€™s more beautiful in person than online. Now I want another one. Thanks Finn Style! ProsBeautiful glass, sturdy and catches the light when lit at night. Classic! 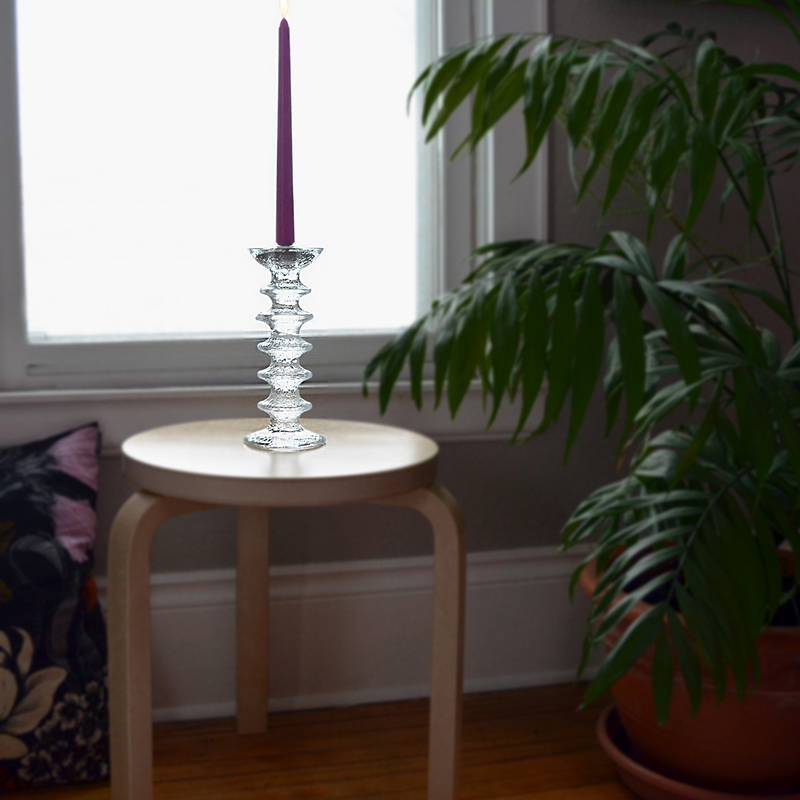 My brother received my mother's collection of Iittala Festivo candle holders after she passed away. I decided I loved them so much I wanted my own collection. I'm thrilled to say I just added #7 to my collection! (A Birthday gift to myself!) I was blessed to have my brother visit me from out of state over the 4th of July holiday. He was able to see my collection while here and loved it! I would LOVE to have 2 of each size; almost there! A very beautiful and sentimental collection!!! ProsVery eye-catching and many different ways to display. Beautiful hand crafted candle holder. Love all of them!